Key lime pie was invented in the late 19th century in Key West, Florida. The actual idea behind key lime pie is unknown, yet legend has it that William Curry, a ship salvager and Key West’s first millionaire, had a cook named Aunt Sally. Aunt Sally created the pie. However, some believe that Aunt Sally actually adapted a pie that a local sponge fishermen had already created… Nobody really knows! When I first started 365 scoops I received an outpouring of support from friends and family members. But no comment gave me greater joy than that of one of my best friends and her lovely fiance, both living in Key West. “You’re really on to something, 365 scoops! I love the idea,” said the fiance. Crap. I’m on the hook for this one. I am always up for a challenge, but I have never had key lime pie (honestly, it doesn’t really interest me) and so I had no idea what the flavor, color, consistency should be. From what I recall (and from what has been confirmed by “the powers that be”) key lime pie is often yellow-ish in color (from the egg yolks) and generally speaking never green. As a matter of fact, the real key lime pie aficionados frown upon those who add green food coloring to their pies, it’s unnatural they say! 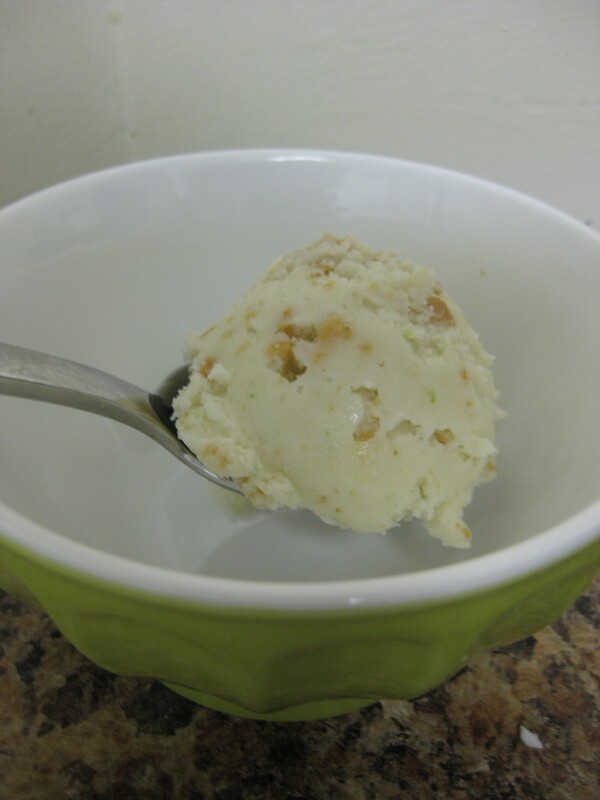 I filed this recipe idea away in the back of my mind and carried on making other ice creams. A few weeks ago, I opened my computer to find an email with the subject line We’re coming to NY!! Flights are booked!. “Hip hip hooray,” I thought to myself. Then reality set in, and I was reminded of the dreaded key lime pie ice cream request. Maybe they’ll forget. Actually, I was really banking on the fact that they’d forget, praying that I’ll be off the hook. Ha, fat chance. Those two key west geniuses remembered, and the challenge was on! Alas, I set out to find key limes, and so began the dreaded chase. Gristedes did not carry them, nor did Fairway, Gourmet Garage (aka Gourmet Garbage) nor Trader Joe’s (surprisingly, they usually have everything). I called Whole Foods to see whether they sold key limes, and alas, they did! I went to the store the very next day in search of the smaller, brighter yellow, more acidic, tart and bitter cousin to the Persian limes we are all familiar with. Guess what, there were no key limes in the entire store! Apparently Whole Foods had run out of all the key limes in one day. Go figure. I pleaded with the fruit specialist to find me a few key limes, yet there were none to be found. I told him that I was making key lime pie ice cream, and he immediately assured me that regular limes would be just as good and that key limes are “four times the price, and only 10% more bitter”. In other words, not worth the money (again, please do not tell key lime pie aficionados about this!). I purchased four limes just to be safe and went on my merry way. Mix the milk, cream and sugar vigorously so that the sugar dissolves. Set aside or refrigerate to keep it cold. Zest the two limes first before squeezing the lime juice (trust me, it’s easier to zest a whole lime than a half-squeezed lime, I learned the hard way!). 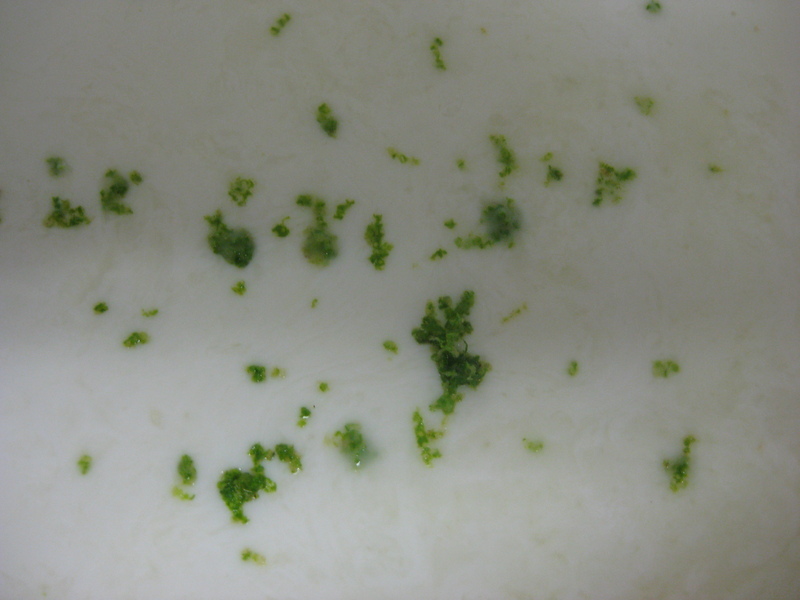 I did not measure out the zest exactly, but it amounted to about 2-3 tsp of lime zest. The addition of lime juice and zest is sort of done by taste as well, so it’s not an exact science anyhow as you’ll read below. 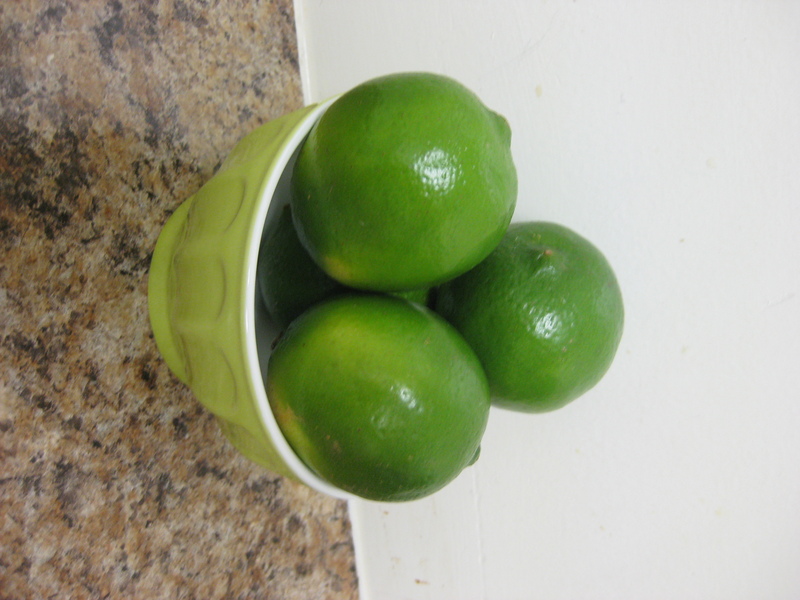 Juice the four limes into a small, clean bowl. 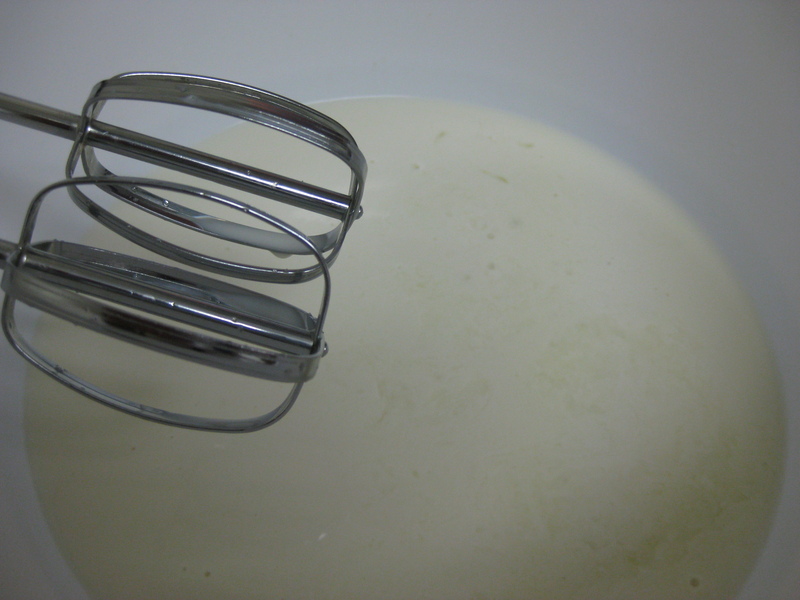 Slowly add the lime juice into the milk mixture, 1 tablespoon at a time, and stir thoroughly. Once you’ve added 3 tablespoons of juice stop and add in 1 teaspoon of lime zest. Next, taste the mixture. I don’t think I’ve ever read a recipe that tells the home chef to taste along the way, but since this ice cream is based so much on taste, you have to do it! 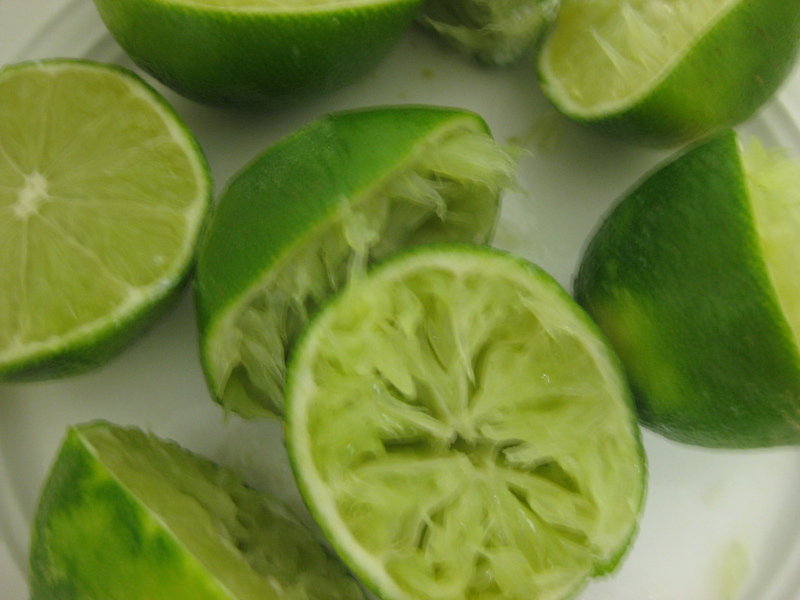 At this point, add in another 2 tablespoons of lime juice and 1 teaspoon of lime zest. Keep on adding in more juice and zest until you reach the desired tartness. I literally added juice, zest, stirred and tasted for a good 5-10 minutes, trying to achieve the correct flavor. Actually. I lied. I had a sous chef the entire time (my Key West best friend!) who was really the brains behind this operation. Since she knew exactly how key lime pie is supposed to taste, she was able to guide me through this process. I could not have done it without her! Once we reached our ideal flavor, I threw the mixture into the ice cream maker and churned for approximately 20 minutes. While the ice cream is churning, crush up the graham cracker cereal pieces. Put a cup of cereal into the ziploc bag and use a rolling pin to crush evenly. I think that is a fabulous idea. Just yesterday I was brainstorming a cherry idea with Shira. I actually dislike cherry ice cream tremendously, so I am thinking instead to make a cherry/pomegranate sorbet. Stay tuned! Yes, the key lime pie ice cream was perfect! Now I propose you move to key west and start selling it – we have the perfect spot for you!